2019 Clint Bowyer #14 PEAK / Ford Mustang NASCAR 1/24 diecast, by Action Lionel. 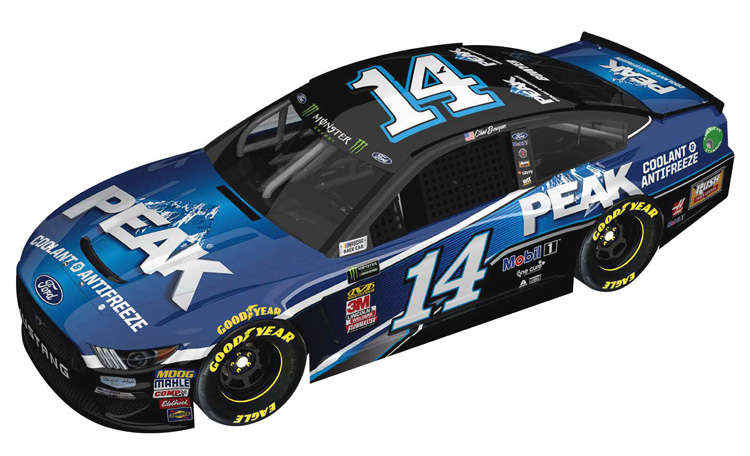 The Stewart-Haas Racing #14 PEAK Coolant & Antifreeze Ford Mustang will be raced by Clint Bowyer during the 2019 Monster Energy NASCAR Cup season. 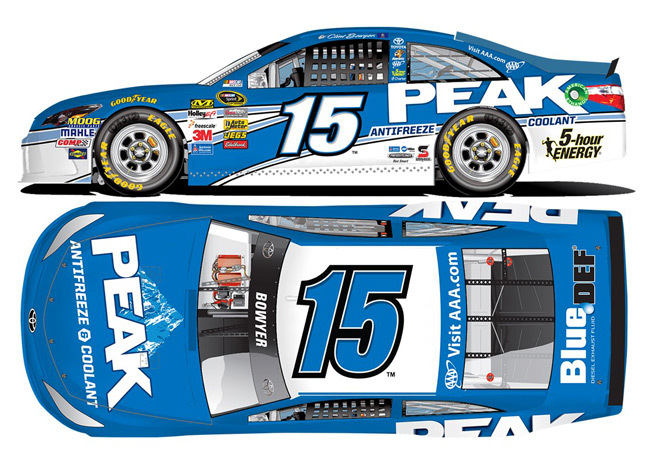 2019 Clint Bowyer #14 PEAK / Ford Mustang NASCAR 1/24 diecast, by Action Lionel. 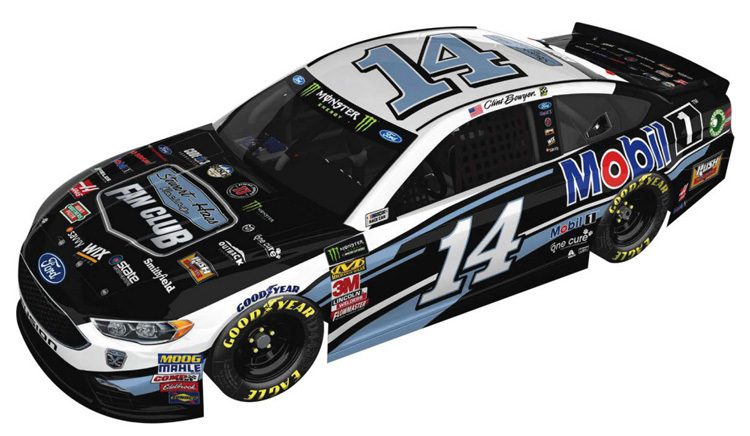 The Stewart-Haas Racing #14 PEAK Coolant & Antifreeze Ford Mustang will be raced by Clint Bowyer during the 2019 Monster Energy NASCAR Cup season. This diecast car will not have the Monster Energy decal on the windshield. 2019 Clint Bowyer #14 Rush Truck Centers / Ford Mustang NASCAR 1/24 diecast, by Action Lionel. 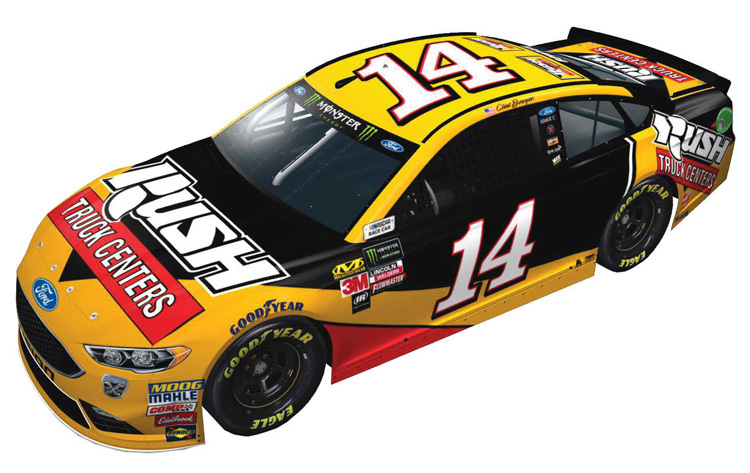 The Stewart-Haas Racing #14 Rush Truck Centers Ford Mustang will be raced by Clint Bowyer in multiple races during the 2019 Monster Energy NASCAR Cup season. 2019 Clint Bowyer #14 Rush Truck Centers / Ford Mustang NASCAR 1/64 diecast, by Action Lionel. The Stewart-Haas Racing #14 Rush Truck Centers Ford Mustang will be raced by Clint Bowyer in multiple races during the 2019 Monster Energy NASCAR Cup season. This diecast car will not have the Monster Energy decal on the windshield. 2019 Clint Bowyer #14 BlueDEF / Ford Mustang NASCAR 1/24 diecast, by Action Lionel. The Stewart-Haas Racing #14 BlueDEF Ford Mustang will be raced by Clint Bowyer in select events during the 2019 Monster Energy NASCAR Cup season. 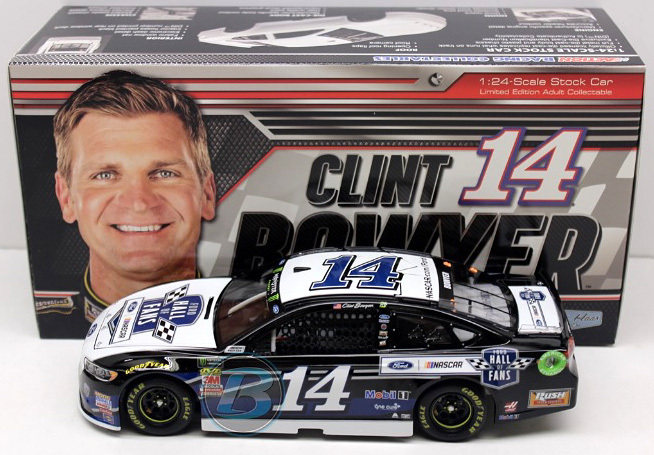 2019 Clint Bowyer #14 BlueDEF / Ford Mustang NASCAR 1/64 diecast, by Action Lionel. 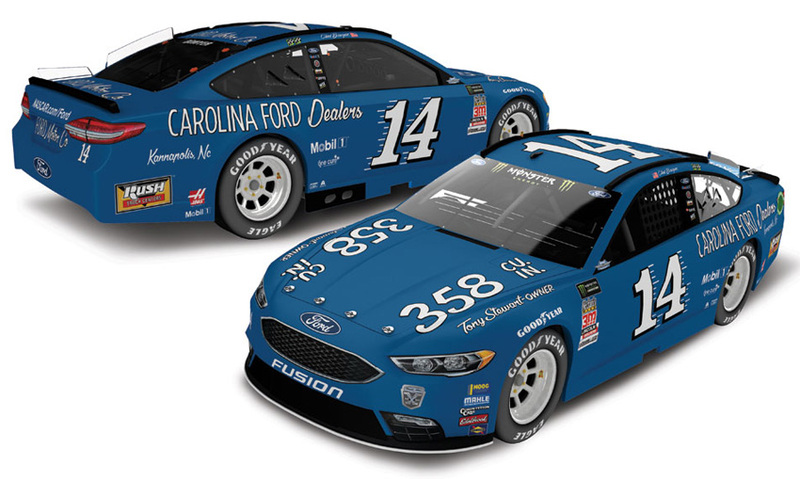 The Stewart-Haas Racing #14 BlueDEF Ford Mustang will be raced by Clint Bowyer in select events during the 2019 Monster Energy NASCAR Cup season. This diecast car will not have the Monster Energy decal on the windshield. 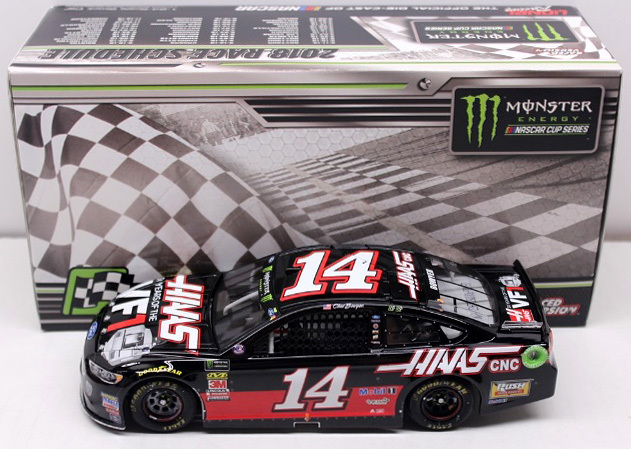 2018 Clint Bowyer #14 HAAS Automation / Ford Fusion NASCAR diecast, by Action. 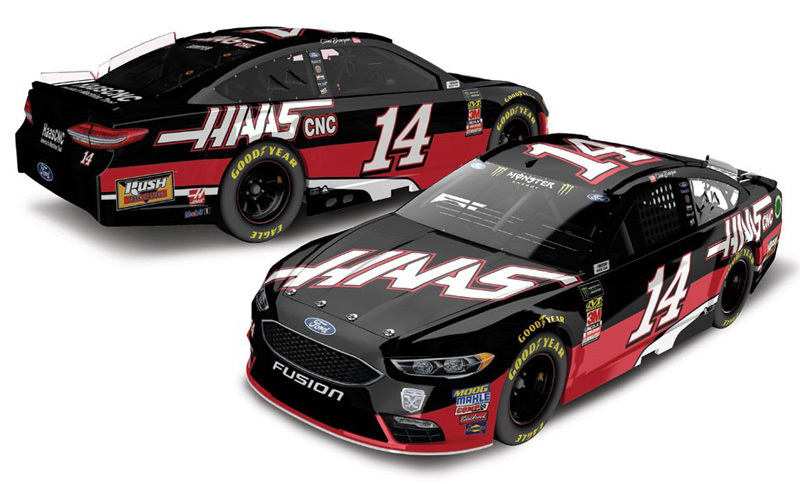 The Stewart-Haas Racing #14 HAAS Automation Ford Fusion was raced by Clint Bowyer during the 2018 Monster Energy NASCAR Cup season. This diecast car will not have the Monster Energy decal on the windshield. The standard 1/24 version is Sold-Out. Color Chrome and ELITE versions are still available. 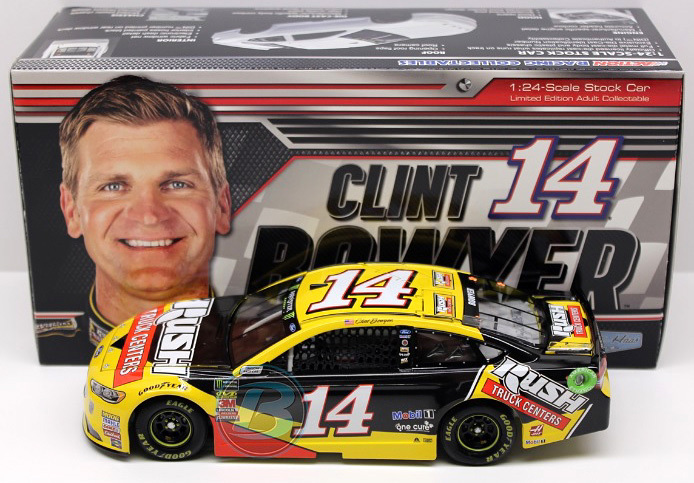 2018 Clint Bowyer #14 Rush Truck Centers / Ford Fusion NASCAR diecast, by Action. The Stewart-Haas Racing #14 Rush Truck Centers Ford Fusion was raced by Clint Bowyer in multiple races during the 2018 Monster Energy NASCAR Cup season. This diecast car will not have the Monster Energy decal on the windshield. 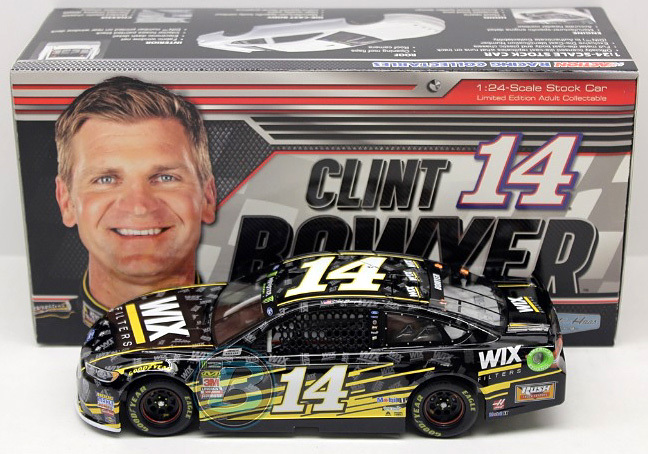 2018 Clint Bowyer #14 WIX Filters / Ford Fusion NASCAR diecast, by Action Lionel. 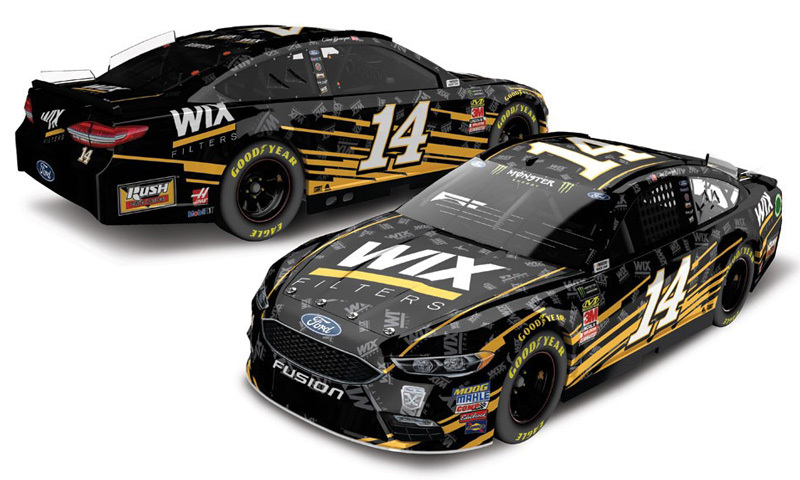 The Stewart-Haas Racing #14 WIX Filters Ford Fusion was raced by Clint Bowyer in select events during the 2018 Monster Energy NASCAR Cup season. This diecast car will not have the Monster Energy decal on the windshield. 2018 Clint Bowyer #14 Stewart-Haas Racing Fan Club / Ford Fusion NASCAR diecast, by Action Lionel. 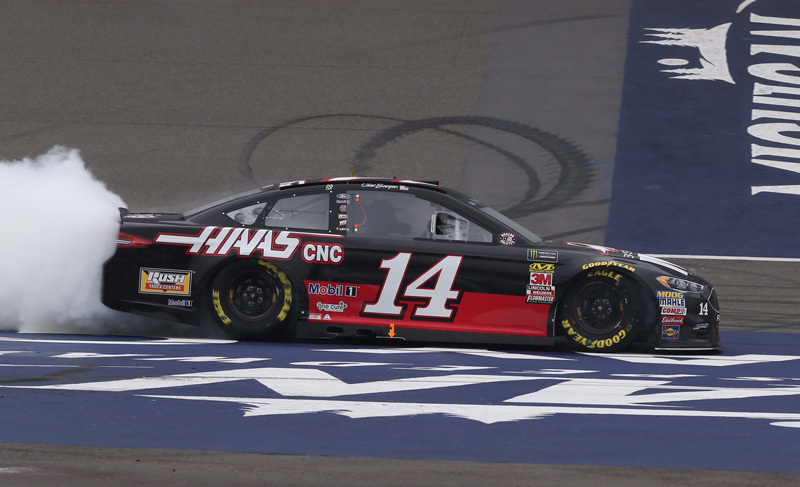 The Stewart-Haas Racing #14 Stewart-Haas Racing Fan Club Ford Fusion was raced by Clint Bowyer in the Monster Energy NASCAR Cup, NASCAR All-Star Race at Charlotte Motor Speedway on May 19, 2018. This diecast car will be displayed on a clear base and will not have the Monster Energy decal on the windshield. 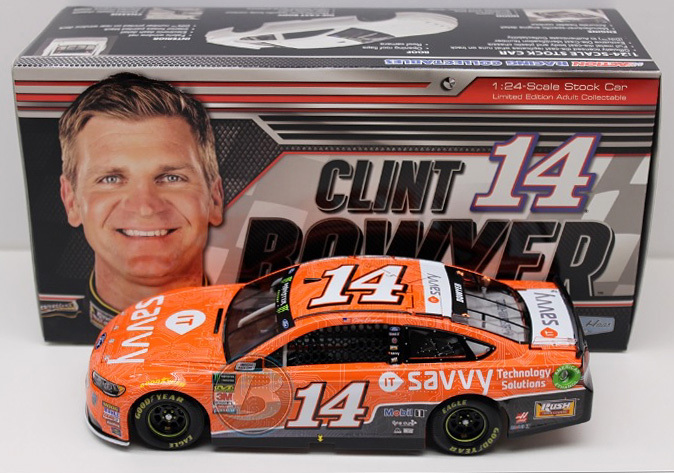 2018 Clint Bowyer #14 ITsavvy / Ford Fusion NASCAR diecast, by Action. The Stewart-Haas Racing #14 ITsavvy Ford Fusion was raced by Clint Bowyer in 2 events during the 2018 Monster Energy NASCAR Cup season. This diecast car will not have the Monster Energy decal on the windshield. 2018 Clint Bowyer #14 Ford Motor Co. / Darlington Throwback / Ford Fusion NASCAR diecast, by Action Lionel. The Stewart-Haas Racing #14 Ford Motor Co. Darlington Ford was raced by Clint Bowyer in the Monster Energy NASCAR Cup, Bojangles' Southern 500 at Darlington Raceway on September 2, 2018. In 1965 Ned Jarrett won the Southern 500 by 14 laps. This paint scheme pays tribute to Ned Jarrett's historic 1965 Darlington Southern 500 win. 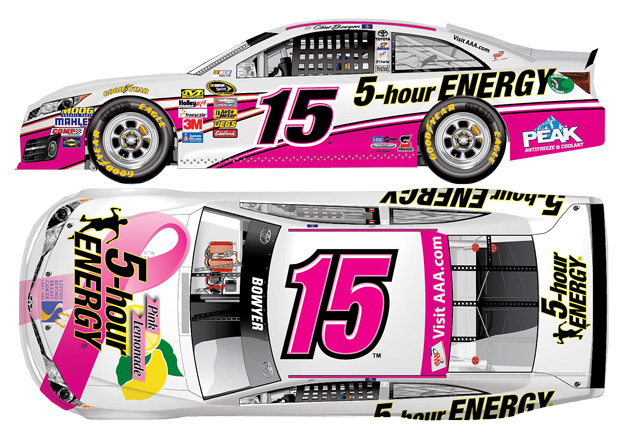 2018 Clint Bowyer #14 Ford Motor Co. / Darlington Throwback / Ford Fusion NASCAR diecast, by Action Lionel. The Stewart-Haas Racing #14 Ford Motor Co. Darlington Ford was raced by Clint Bowyer in the Monster Energy NASCAR Cup, Bojangles' Southern 500 at Darlington Raceway on September 2, 2018. In 1965 Ned Jarrett won the Southern 500 by 14 laps. 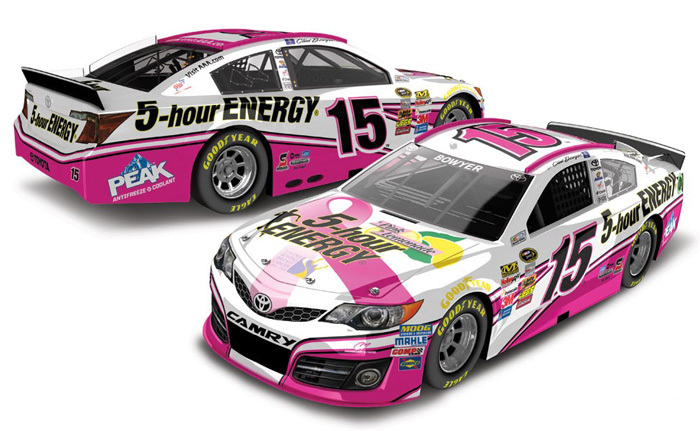 This paint scheme pays tribute to Ned Jarrett's historic 1965 Darlington Southern 500 win. This diecast car will not have the Monster Energy decal on the windshield. 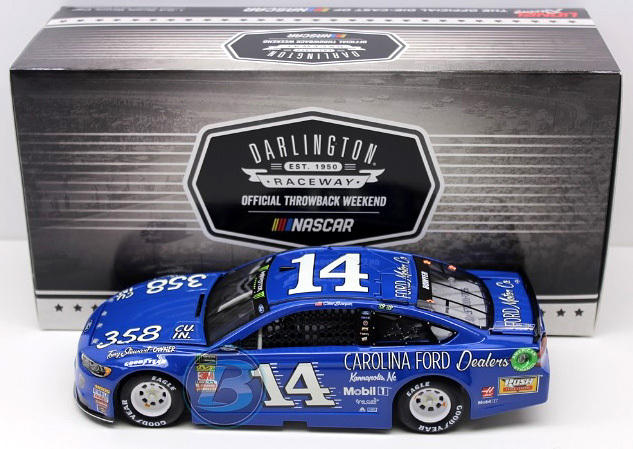 2017 Clint Bowyer #14 Carolina Ford Dealers / Darlington / Ford Fusion NASCAR diecast, by Action. The Stewart-Haas Racing #14 Carolina Ford Dealers Darlington Ford was raced by Clint Bowyer in the Monster Energy NASCAR Cup, Bojangles' Southern 500 at Darlington Raceway on September 3, 2017. 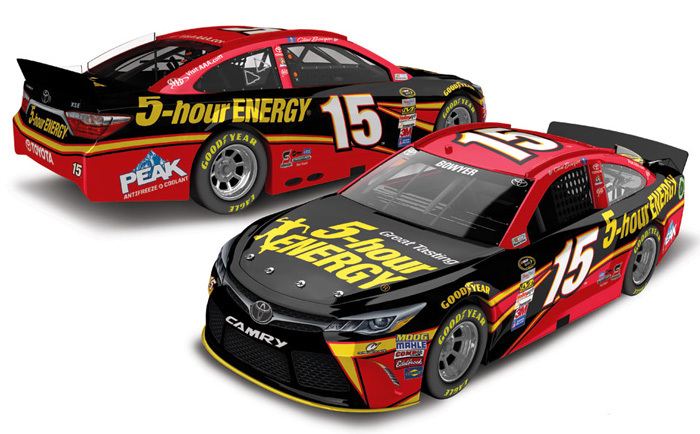 Clint Bowyer will be throwin' it back to the late 1980's with a nod to Mark Martin's classic paint scheme of the same name. 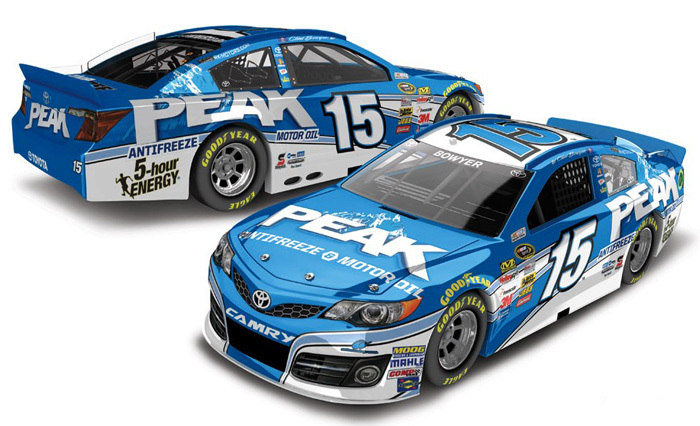 2015 Clint Bowyer #15 PEAK Antifreeze and Coolant / Toyota Camry NASCAR diecast, by Action. The Michael Waltrip Racing #15 PEAK Toyota was raced by Clint Bowyer during the 2015 NASCAR Sprint Cup season. 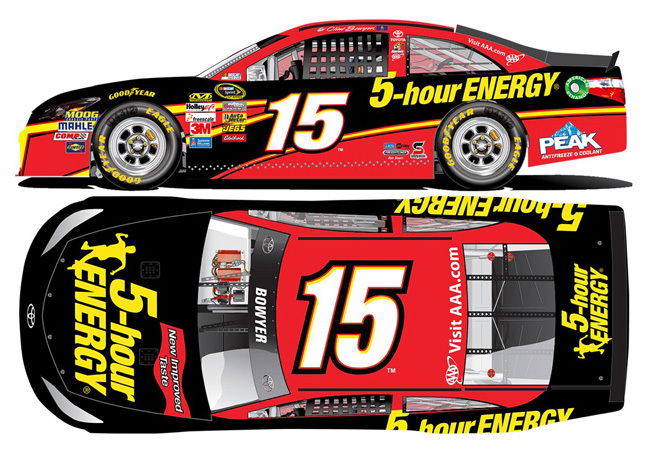 2015 Clint Bowyer #15 Maxwell House / Toyota Camry NASCAR diecast, by Action. 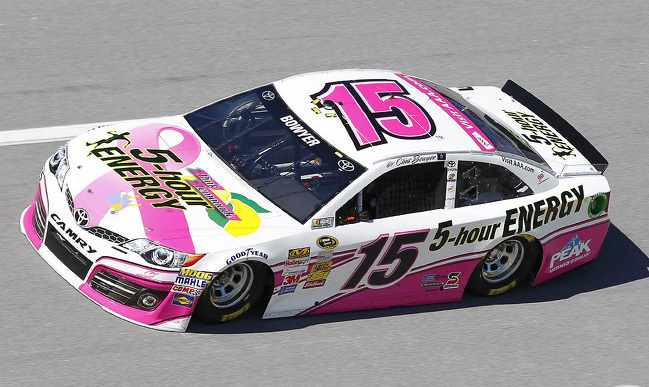 The Michael Waltrip Racing #15 Maxwell House Toyota was raced by Clint Bowyer in 4 events during the 2015 NASCAR Sprint Cup season.